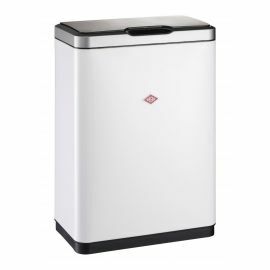 This beautifully designed, large capacity, 55 litre Simplehuman bin has sleek styling with its rounded corners on the lid, an extra wide strong steel pedal and soft close lid. The innovative liner pocket means that replacement liners are always to hand and maximises the space available. 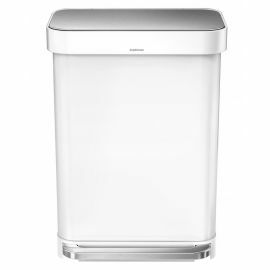 An innovative 'liner pocket' stores and dispenses bin liners from inside this Simplehuman kitchen bin. So when it's time for a new liner, just pull one through for fast, convenient changing. 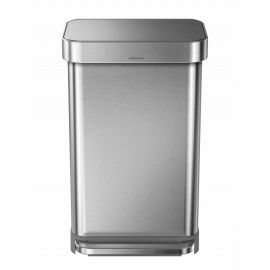 This all stainless steel bin looks discreet and elegant and will provide a chic update to your kitchen or office, fitting close to the wall for efficient use of your space. 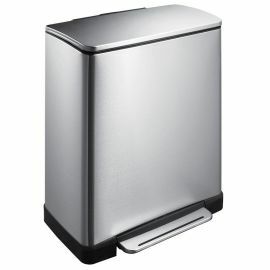 The stainless steel liner rim flips up for liner changing, then closes over the new liner to hold it tightly in place and keep it hidden from view. With no inner bucket, there's more space for waste.  Extra clever design features include the smooth, silent soft-close lid, an internal drip tray in the base which is easily removable for cleaning, plus the all-steel pedal mechanism which is engineered for years of use: tested to last over 150,000 steps. 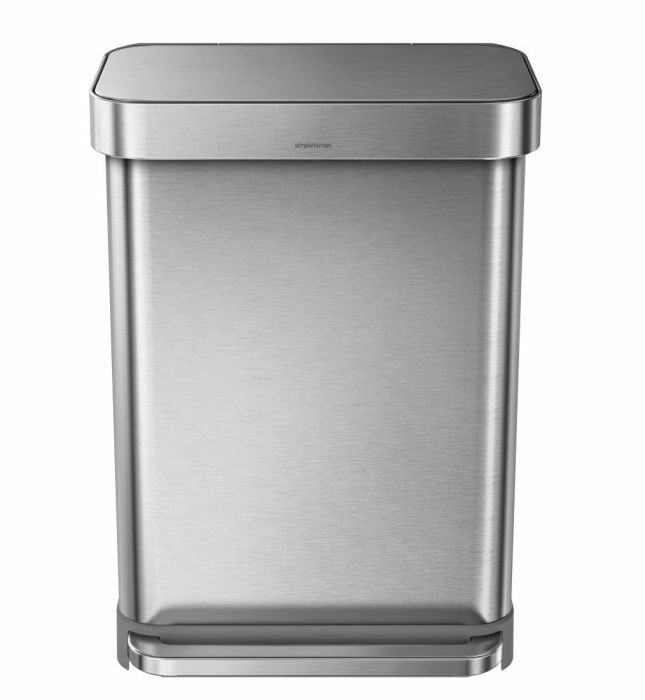 When you add this Simplehuman rectangular liner pocket pedal bin (CW2023) to your basket, you'll be given the option to add the matching Simplehuman custom fit Q Liners, CW0264, before continuing to checkout.